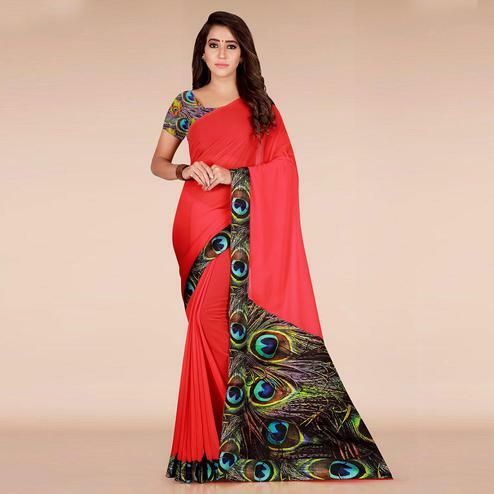 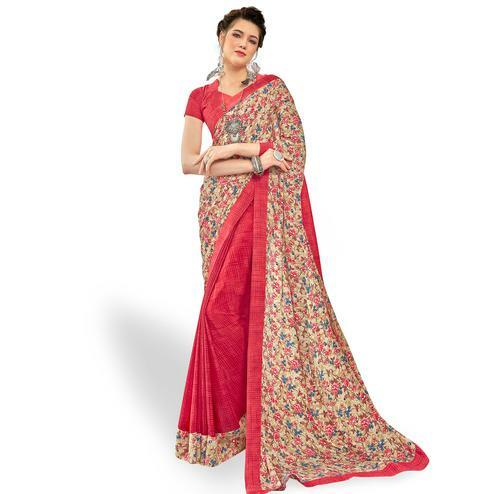 Turn Head your way as you dress yourself in this plain red saree. 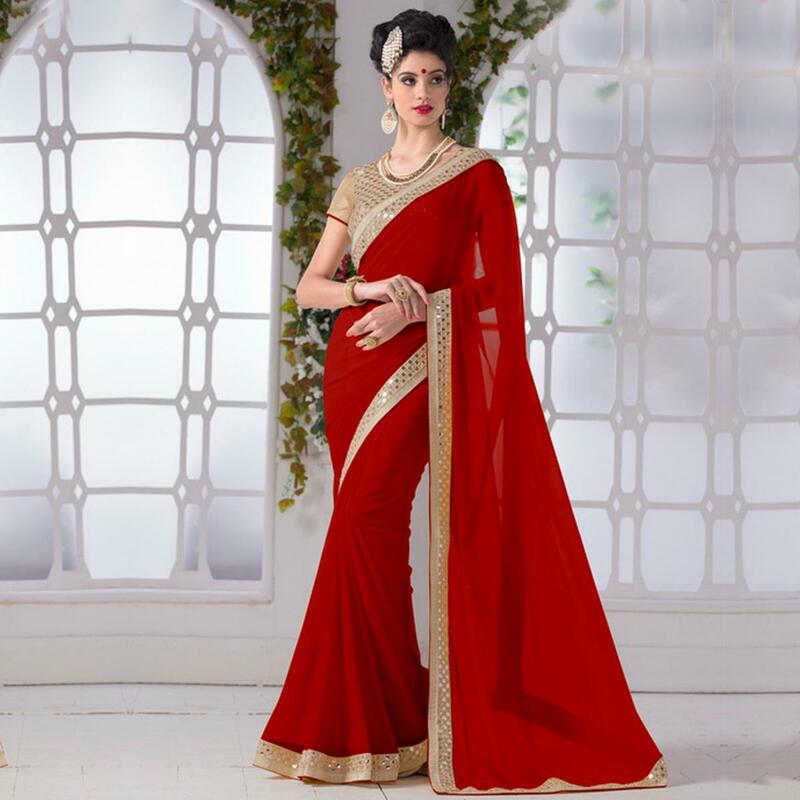 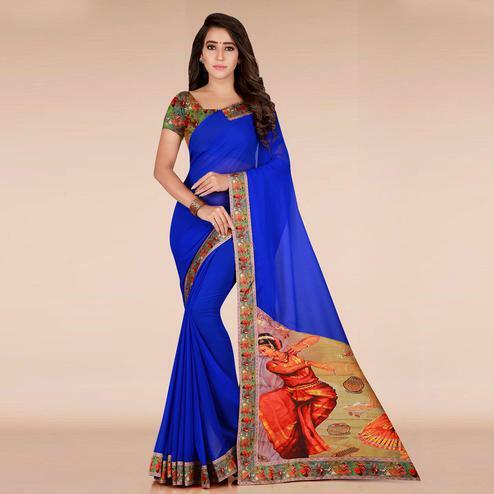 The saree is made of chiffon fabric and beautified with its amazing lace border work with plain textured saree. 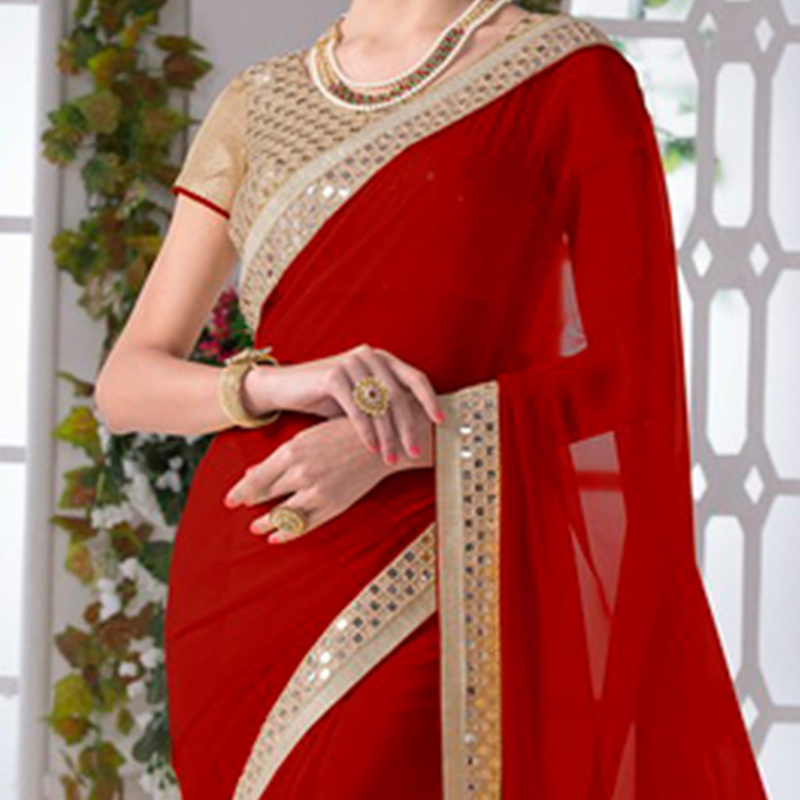 It's perfect for you upcoming functions, festival & occasions. 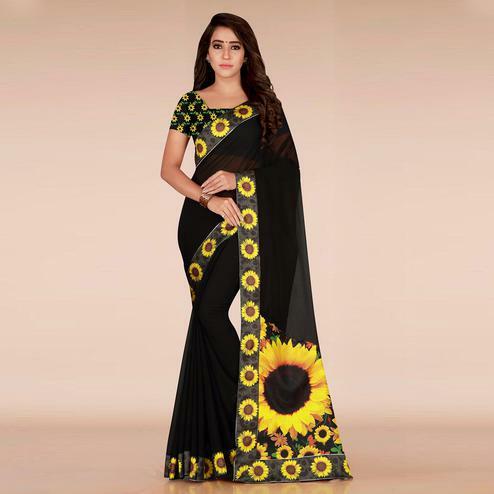 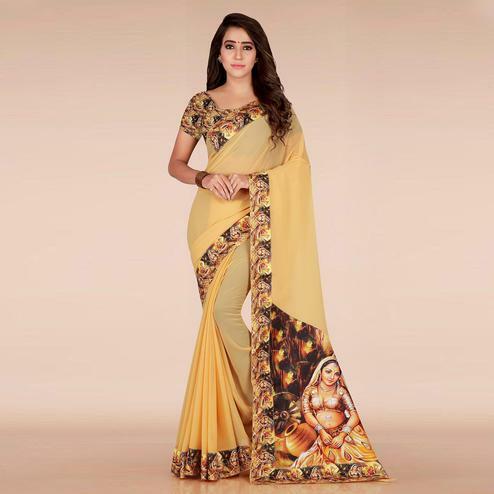 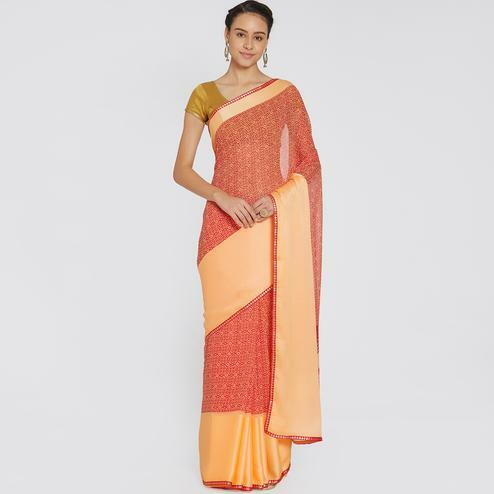 Saree accompanied with a matching blouse as shown.